In the Spring of 2014, Billy VanDelinder graduated from Middle Tennessee State University in Murfreesboro, Tennessee with an undergraduate degree in Instrumental Music Education. He was a drum major at Music City Drum Corps in 2010 and 2011 as well as an assistant conductor of the Phantom Regiment in 2012. 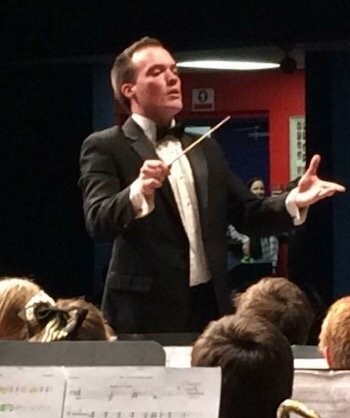 He is currently in his third year of being a band director at Paragould Junior and Senior High School in Paragould, Arkansas, where he teaches beginning band, intermediate junior high band, AP Music Theory, and high school concert and marching band. At Paragould High School, he specializes in teaching private lessons on clarinet, saxophone, and horn.